Our London store has all the aquarium supplies you need for any aquarium, be it freshwater community, planted aquascape, or marine reef system. Our young enthusiastic and knowledgeable team are ready to help. Whatever your requirements we can help. Everything for the beginner to the expert aquarists. 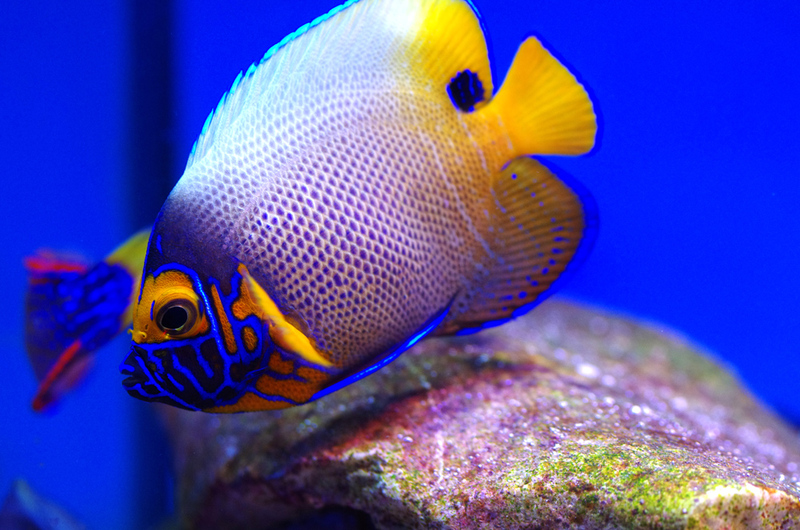 We have hundreds of fish, aquatic plants, corals, and other aquatic animals. Browse over 700 tanks of marine and freshwater livestock. We offer a huge range of fish, including rare and exclusive species, which are quarantined and de-wormed prior to sale. We have a large back of house quarantine facility to ensure the best health of fish before sale. All fish are sourced from responsible shippers with CITES certificates where required. If you would like us to order any unusual species for you, give us a call and we’ll be happy to help. For planted-tank aquascapers, we get two deliveries of plants a week, from three of Europe’s leading aquatic plant suppliers. We always have plenty of stock, and are happy to take special orders of plants for our customers. We also have numerous rare species growing in our display tanks; feel free to ask for a cutting if they are ready. With an extensive selection of lights, substrates, carbon dioxide systems, fertilisers, and monitoring equipment. We stock everything you’ll need to create and maintain a beautiful tropical freshwater tank. We stock over 200 marine tanks full of fish, corals, and invertebrates. Largest UK retailer in coral frags. We also have several shipments each week from around the world and hundreds of locally farmed coral frags to choose from, our stock is continually replenished.